The past few weeks have been eventful here at Beat the Streets; to say the least. 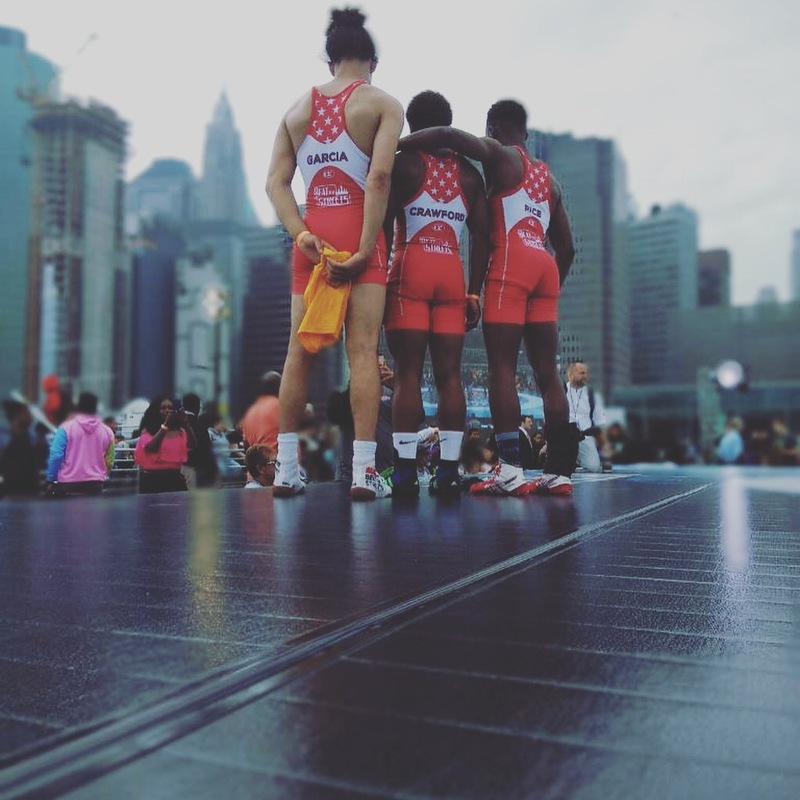 This past month alone, wrestlers traveled to New York City to wrestle in the Rumble on the River (hosted by BTS NY), to Chambersburg, PA to compete in the PAWF State Tournament, and participated in 2 freestyle/greco clinics hosted by BTSP! Below are just a few key highlights from each of these events! The Rumble on the River was an absolutely incredible experience for the kids. Each year BTSNY wrestles a lineup against all other BTS programs in an exhibition format. This year, 3 BTSP wrestlers were selected to compete: Zimire Rice, Zaire Crawford, and Angel Garcia. Zimir and Zaire both won matches by TF, while Angel lost a close match to a tough opponent in Terrance Parks. Following the exhibition matches, the kids were invited to stay for the main event as Team USA took on Team Cuba! We were all very thankful to have had out kids included in the days events and want to congratulate Beat the Streets New York on running yet another fantastic event! In large part, what made the success at the state tournament possible was the support of the local wrestling community. On May 5th & 12th, BTSP hosted freestyle/greco clinics open to all at the PAL Center in Port Richmond. Wrestlers from the surrounding area were welcomed in to train with BTSP and learn from high-level clinicians. Chase Pami (PRTC), Garrett Hammond (DREX), & Coach Savi (CRS), were all very generous in giving up their time to show some great technique and help to prepare the kids to face elite competition. Not only are these individuals amazingly talented wrestlers, they’re fantastic role models for the kids to look up to. While all of this sounds like a lot of programming, there is still much more ahead of us. In just a few short weeks, BTSP will be preparing to send our 5 wrestlers to Fargo & a few others to wrestling camps. In order to support our kids in reaching their goals, we need your help. This year, we’ve created a Summer Programming fund to support the programming our kids take part in over the next few months. If you have the capacity to give, your support will help kids travel to North Dakota and compete for a National Championship, travel to day camps sponsored by the University of Pennsylvania, and more.